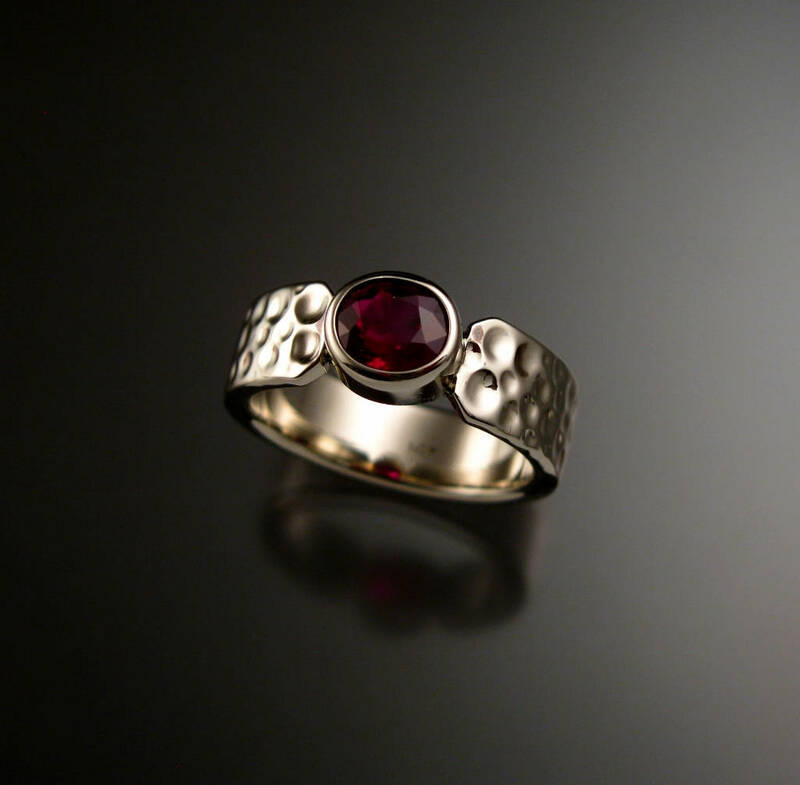 This beautiful natural Ruby is set in 14k white Gold with Moonscape pattern band. 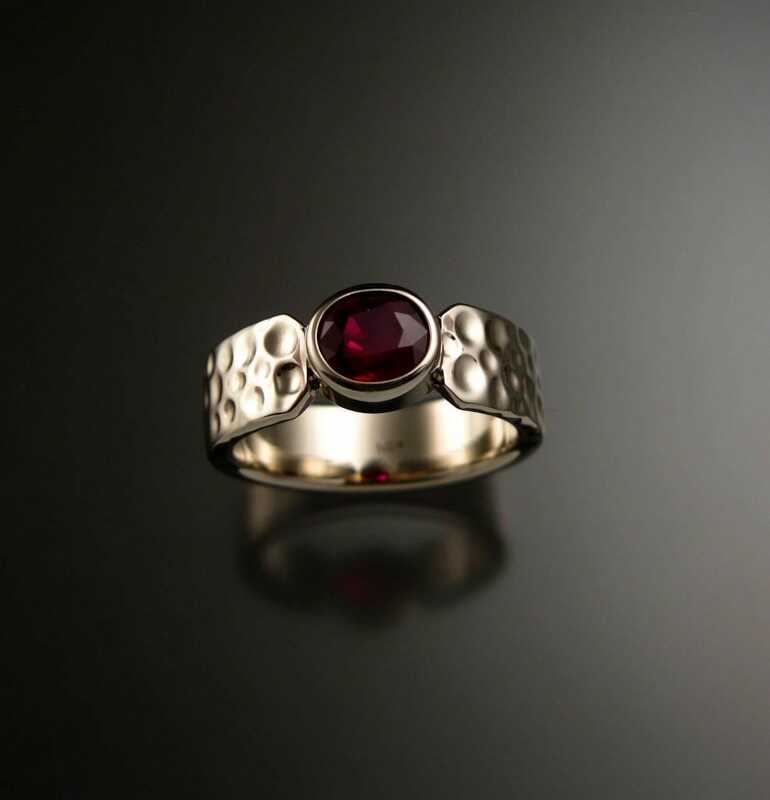 The stone is bezel set for superior wearability. 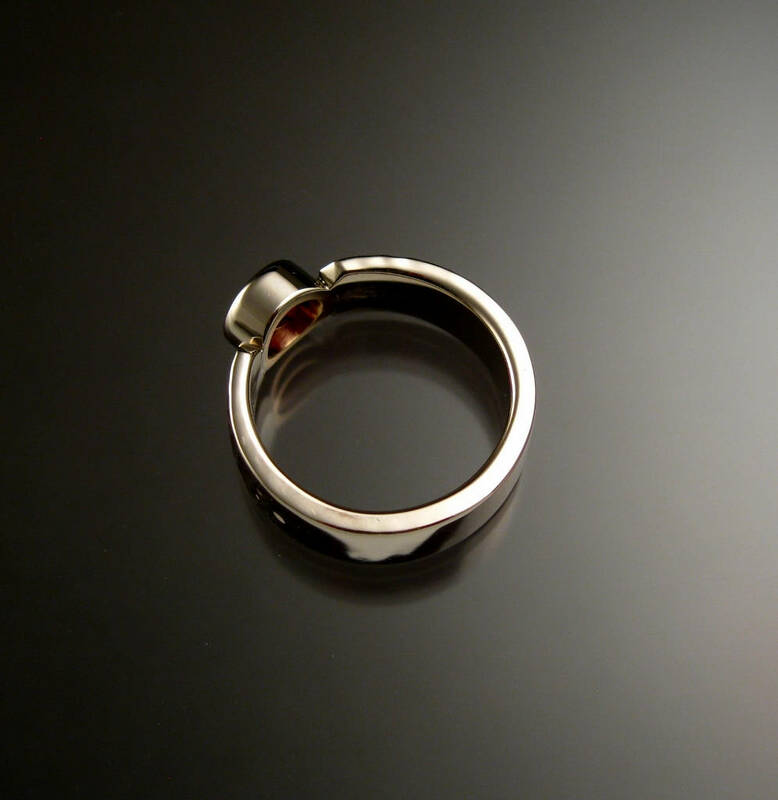 The band is 2mm thick and 6mm wide and is punched with deep polished craters. 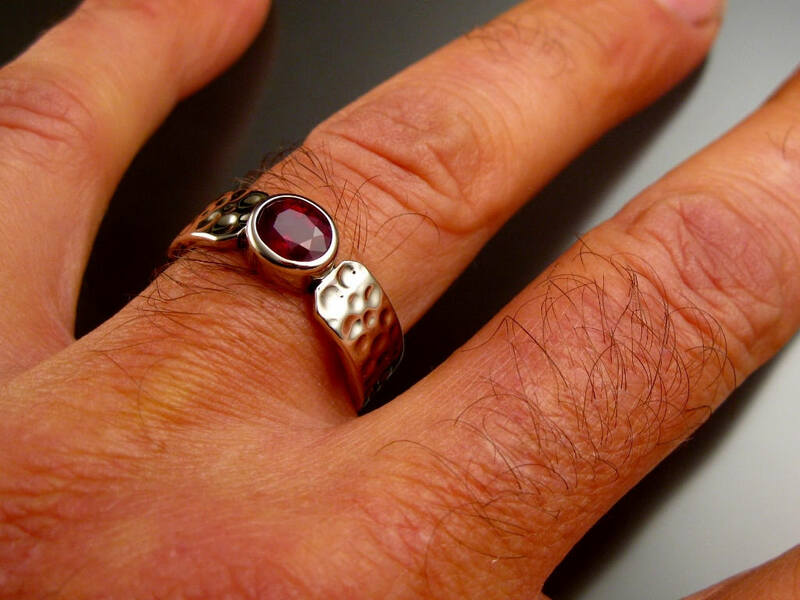 Size 7 ring is pictured (for your scale reference). 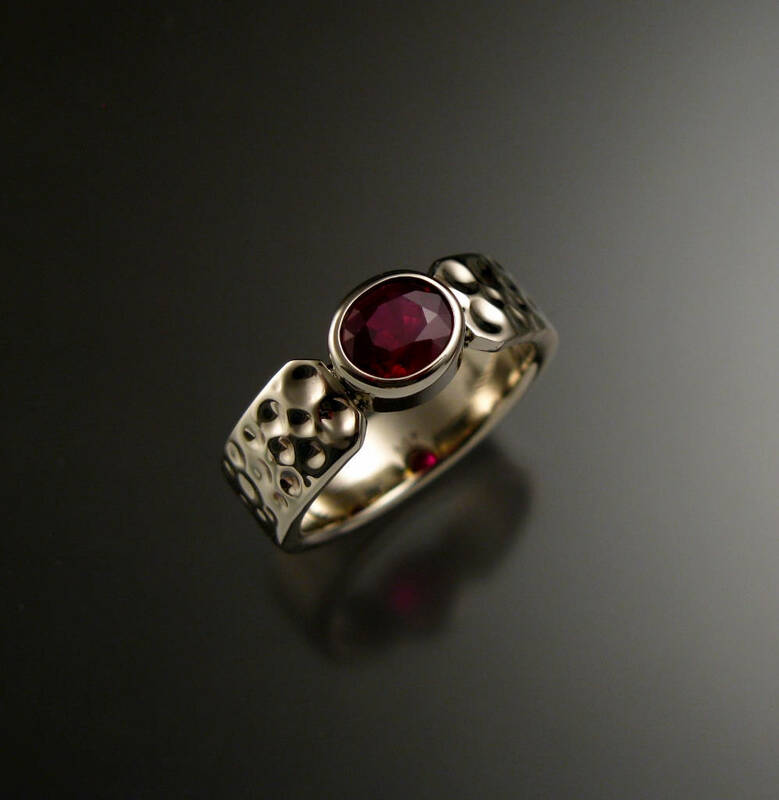 The stones available for this ring are shown in the last three pictures. 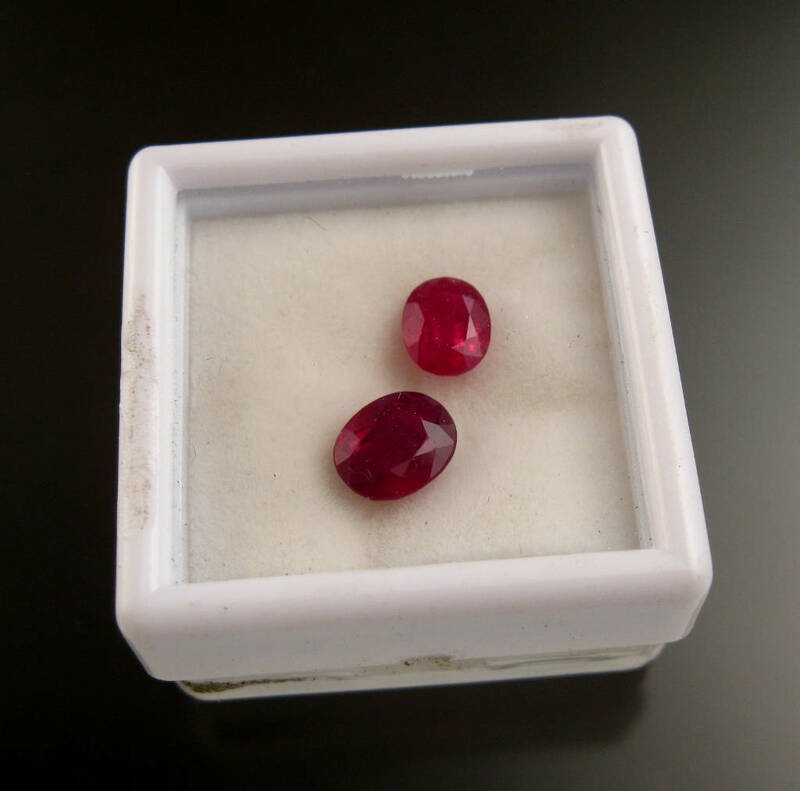 The larger stone measures 5.6 x 6.8mm and weighs 1.29ct. 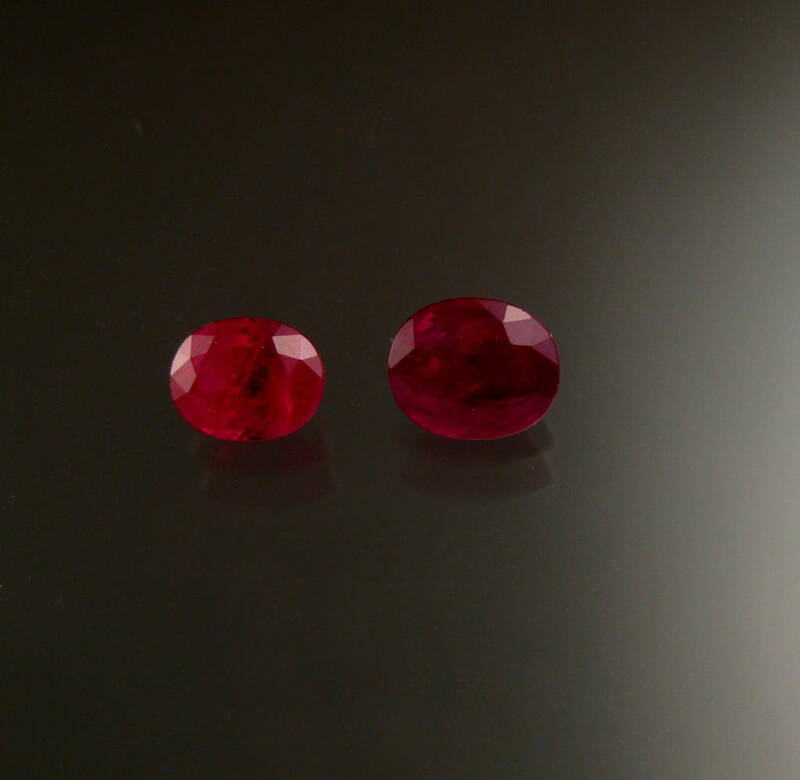 The smaller one measures 5 x 6mm and weighs .93ct. 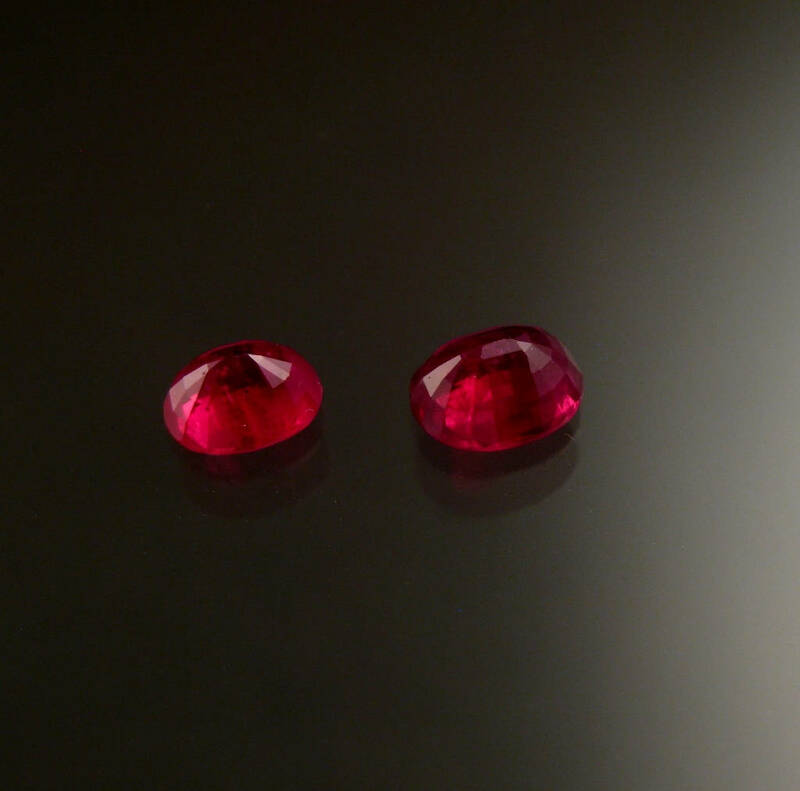 The larger stone is the closest in color to the one in the pictured ring. 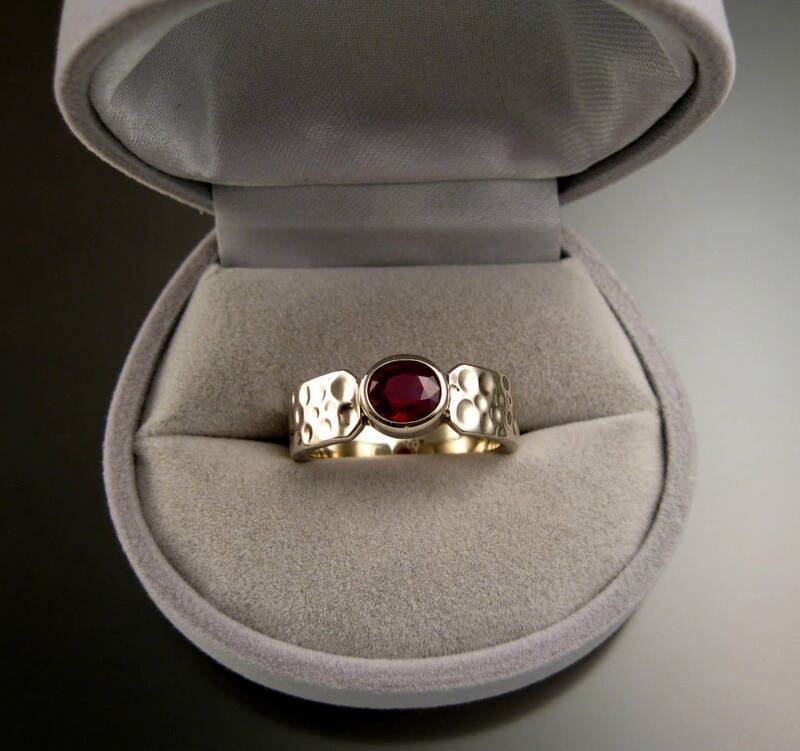 Ruby rates a hardness of Mohs 9 and wears very well in a ring. I can make this ring for you in any size between 7 and 11.